Art - Pencil, oil pastel drawing, watercolor, acrylic painting, life sketching, fashion and pattern design, plain air paint out, 3D design, clay work, scratch art and all types of art crafts. 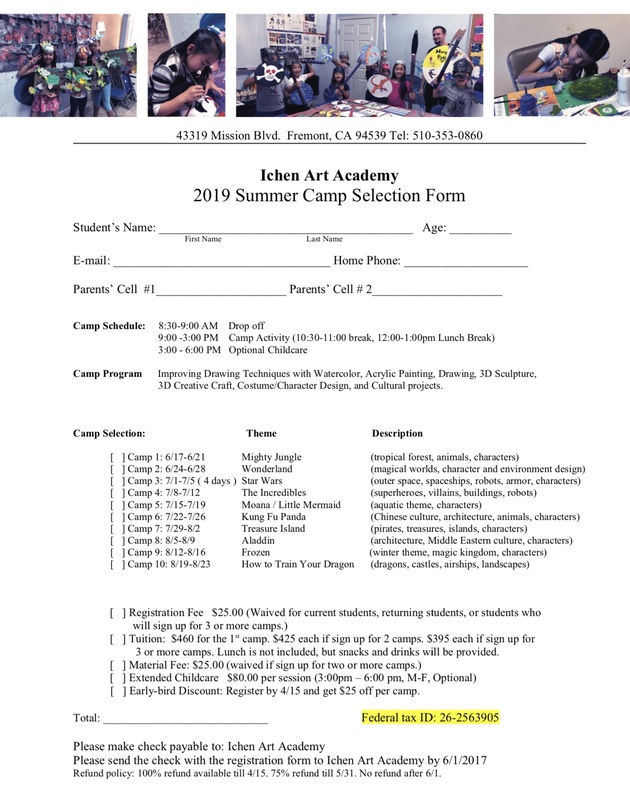 Ichen Art Academy will offer a series of specially-designed AP Art Boot Camps, workshops and open studios this summer for middle and high school students from 6/18 to 8/24. 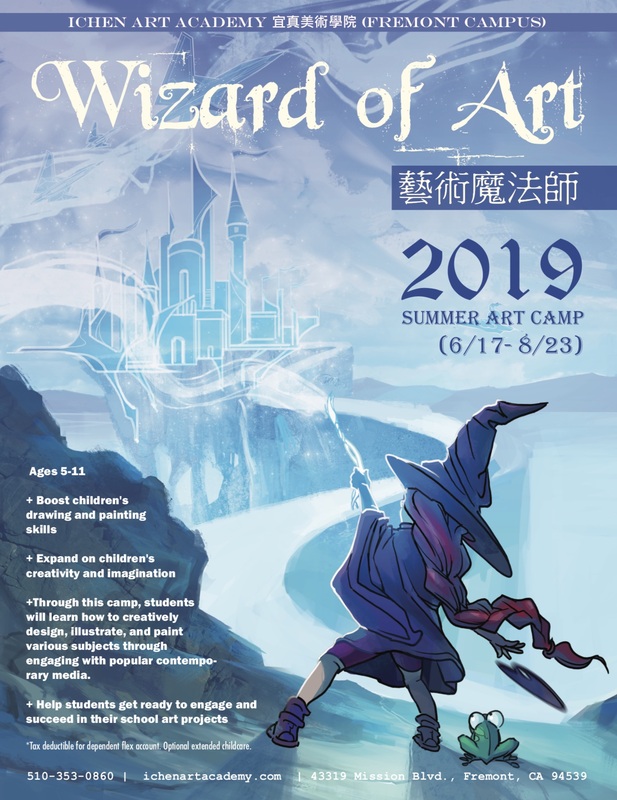 These classes are not offered regularly during school time, but only in summer. 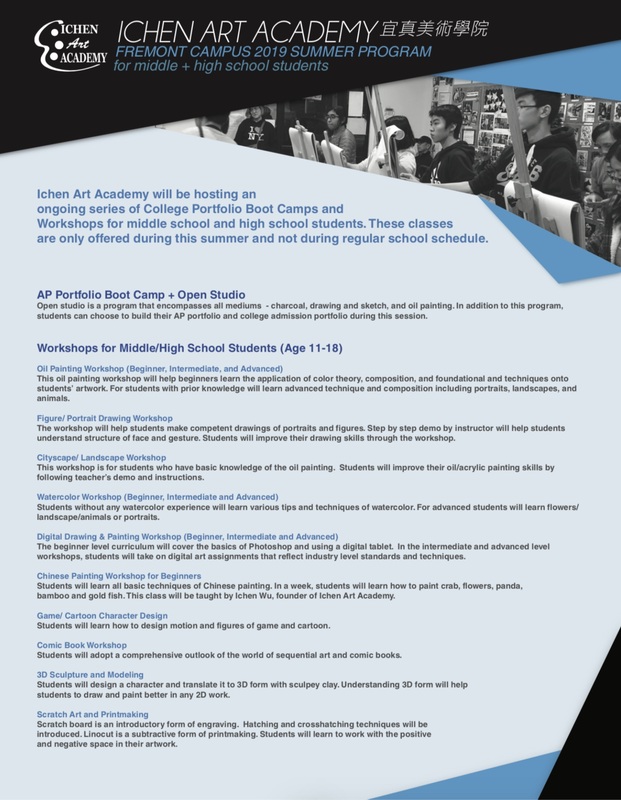 Students will learn from professional artists practicing in the industries on a wide variety of art subjects and mediums.